Lawyers in Italy for pedestrian accidents. The death of a relative in a car accident is always a tragic event. When this tragedy happens in a foreign country, in addition to the pain for the loss of the family, the relatives also suffer the discomfort caused by the difficulties to obtain a fair compensation. Not all countries provide for compensation for the damages suffered by the relatives for the loss of family relationship. In some countries foreigners are not protected like the nationals. Fortunately, Italy is not one of these countries. The Italian Law provides that the relatives of the victims of car accidents are entitled to compensation for all damages suffered by the family according to the inheritance law and also for the existential and moral damages suffered for the loss of the parental relationship. Only the Italian lawyers can represent the injured persons and/or their relatives in the court. Lawyers from other countries, if not enrolled in the register of Italian lawyers, doesn't have any authorization. For this reason, if your relative died or resulted badly injured in a pedestrian accident in Italy, we suggest to contact directly an Italian lawyer based in Italy, without going through any other person or intermediary (who may ask you an additional commission or, even worse, prejudice your rights). When there is an accident involving a pedestrian in Italy, people generally think that the pedestrian is always right, but, that isn't always true. For example, if the pedestrian climbs over the guard rail and crosses a freeway during the night, he also contributes to engage in a dangerous situation, because he endangers all the cars along the street, since they can no longer perform appropriate maneuvers to avoid or reduce the impact. Therefore, in Italy in the event of car accidents involving pedestrians, the driver's responsibility is excluded when it is proved that he had no chance to prevent the accident, because the conduct of the pedestrian was unpredictable and dangerous, and the driver was unable to see and observe the pedestrian's movements. 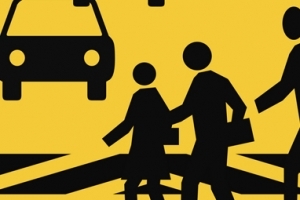 However, the fact that the pedestrian has suddenly crossed the road cannot exclude the responsibility of the driver, where such dangerous or anomalous behavior of the pedestrian was reasonably predictable by the driver for the circumstances of time and place; in fact, for example in the presence of children or near places frequented by children or tourists (parks, schools, monuments, etc.) the driver has the obligation to proceed with attention to be ready to stop the vehicle in case of danger. These are just simple examples to explain what the Italian Law says about the car accidents involving pedestrians, but each case has its own characteristics which may affirm or exclude the liability of the driver. If you need some assistance, don't hesitate to contact Lawyers in Italy.